In Delhi and madness promptly descends. Being met by the parents at the airport, and had picture clicked by mother's brand new camera phone as a) I wheeled my trolley out of the airport b) I walked to the car c) I stood with my dad and grinned my tired hungover up till three in the morning Old Monk tequila smile d) as my dad and I both signed copies of our books for a family friend (who gave me a lovely new pen. I'm dying to do some signing! Someone please ask me!) My parents have fully submitted to the media hoopla. They might even be more excited than I am. I'm actually supernaturally calm, all like, "Oh, it's not a big deal" or "Book? What book? Oh, thaaaaaaaaaat book. Right." Yes, I am aware that I sound like an idiot. Although I think I might've OD'd on all this book talk. I've been asked the same questions so many times, I have to keep remembering what I said before so everyone gets different quotes. And OH MY GOD BOOK DOES NOT EQUAL BLOG I'M VERY FLATTERED YOU READ THE BLOG BUT THIS IS ABOUT MY BOOK. BOOK. B.O.O.K I know, though, that it's the obvious question. Everyone wants to know about how you turn a blog into something that gets published and read in bookstores. There's one simple answer: you don't. Writers are writers. Before the blog, we journal. I still carry around a notebook for commutes and things, so I can get things down when I think of them. Okay, final word, final whisper about Delhi book related things, I promise. There is a party at Agni on the 22nd, but that has very limited space, soooooooo, there's another reading at Full Circle at some new mall in Saket. (Which means the piles of cement and scaffolding has actually turned into something, which makes me feel all Odysseus and oh, I've been away forever.) I'll confirm the time later. It's on the 23rd, which is Saturday. Come. The Bombay launch is the weekend after next, on the 29th at lalalalala Blue Frog! Aren't we all poash darling? I think we'll have a similar bookshop reading there also, so we can fit everyone in. Leela is here! She stayed back for the launch and for Bani and Maya's berfday, and we did din-din yesterday, her and me and Bani and Ishan. We went to Ego, at New Friends Colony (I didn't realise it was still going strong!) and had a fabulous time despite the fact that it was a dry day. Then Ishan went home and we piled into their new fancy car (We're talking serious fancy here, the kind of car you'd never even sneeze in, let alone eat or drink or smoke) and went for a pahtay thrown by a new friend (and someone who's been helping with the online stuff of the book). There was alco, and Jenga and coaching in Hindi swear words and it was all very fun. Bani and I now have plans to go watch Jaane Tu and Bachna Ae Haseeno and then go eat chicken wings at Bennigans. Sometimes, in Bombay, in the middle of the night I lie awake listening to the sounds of crows and traffic and dream of those chicken wings. They're really good. Ooh! Foreign-returned relatives were met brieflyfor lunch last week and I got a brand new iPod nano! The 8 GB one! And it's blue! And it has my initials on the back! I love it. Shiny, iPod babies will happen. Anyhoo. Sorry about the infrequent posting, but it has been madness (MADNESS!) around here. Regular programming should resume shortly though. congrats. i look forward to the book. i know it would be wonderful as everything you writes. and am a huge,i mean HUGE fan..
i searched for the book to buy online. but it showed out of print. why so? anyhoo, all the best and enjoy the hour of glory. 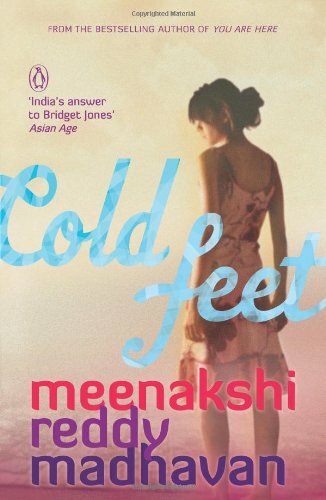 Hi eM, I've been scouting around for this piece of info which I think you would surely have: Are you the first Indian blogger turning author? Or let's put it this way: Are your the first Indian blogger to be approached by a publishing house for a book? just started reading ur blogs..and boy am i hooked..!! Congrats on the book...enjoy ur glory and i wd say get used to it babes, cz i dont think this is ur 5 minutes of fame...on the contrary its the start and i really really hope there wd be more such moments..!! 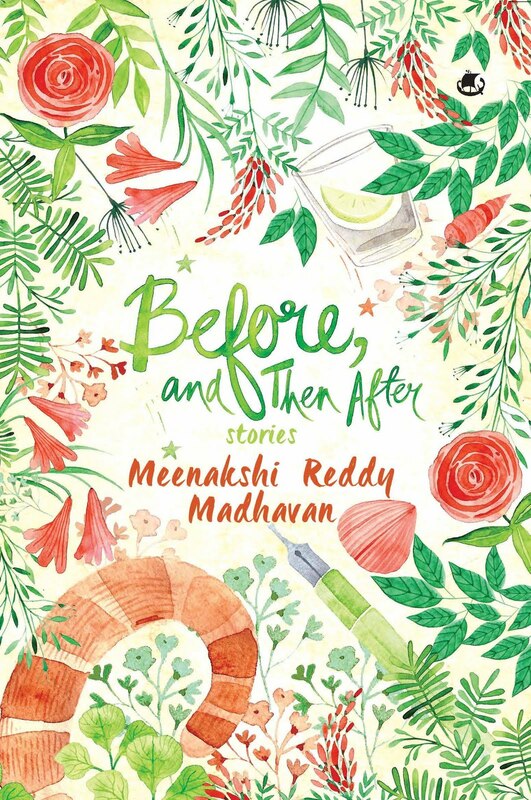 When is the Bangalore Book launch slated to happen? By whatever few things I read of yours.. I can tell you that ur writings create the urge to read more. Will dropin to your blog regularly. Can I add you in my blogroll? Lemme knw. Hey I get introduced to your blog through rediff. Why I thought of reading your blog? May be I wanted to know the way a girl like thinks (you might not be like most of the girls though ;-) but still you are a girl, right!). You are a great writer. One thing I just wanted to ask .. What do you mean when you say you are a compulsive confessor? Does it mean that you need attention of others? What if you don't get any attention? it would be a bit difficult for you to think of your life without all this right? 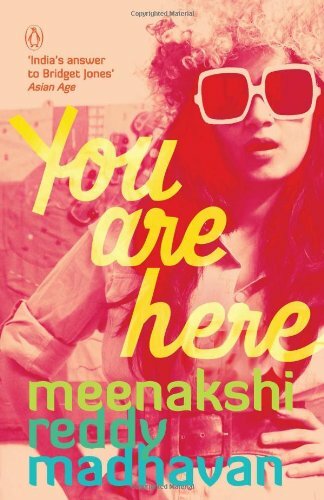 sorry.. but what is ur book called.. am new to ur blog.. n its awesome.. thanx to rediff i ended up here !! Bought it. The Book. I see a couple of sleepless nights in store! got your book. did anyone ever make it past the first or second page? one has read better, one has read worse, but one has usually read past the beginnig. this one is impossible! so inspite of the big media builup, please let us know if anyone finds something of substance in this book. Hey, finally got to your blog, now that Ive been handed your book to review. And frankly, am enjoying both. Cheers. Well, since you've no shortage of fan mail I thought someone should speak the truth. I read the first forty pages of your book. It's quite awful. When did writing a novel become like email. What a shame that Penguin should eschew quality for pulp popularity. I hope you sell piles though. Then you can forget this message very quickly and pretend you're a successful writer. Like Chetan Bhagat does. really cool ! way to go ! You wrote a book??? And I don't even know that you were at it?? Sheesh..I didn't know I had become that absent minded? Or is it that you never mentioned it here on the blog. Pls do tell so that I can probably console myself that my memory hasn't gone that bad! though I've forgotten its name. sigh. ure india's answer to lauren wiesberger, albeit more masala!!! Hey are their invites for the events scheduled in Delhi..Agni/full circle.. or every fan/frnd is permitted!! i dunno about eM's book as haven't got it. YET. but how can you say things like that about chetan bhagat? How many people are repulsed by fivepointsomeone? or one night at a call centre? dude..get a life. if you dont like them, ok. big deal.. those who testify against you will be more than those with you..
i dunno about eM's book as haven't got it. YET. but how can you say things like that about chetan bhagat? How many people are repulsed by fivepointsomeone? or one night at a call centre? dude..get a life. if you dont like them, ok. big deal.. those who testify against you will will be more anyday..
Read your book...it is not good..reads like an email by a young girl. And your editor screwed up big time. Stop hanging out with your babalog friends who tell you you are brilliant etc etc. You are not. Not yet. I was book shopping at Crossword, Select Citywalk in Saket yesterday and couldn't find your book. I come back to your blog today to protest, and then find your post about a reading at the mall next door! To the nice little girl in the 6th or 7th at SPV who was SO excited when Suvrat kissed somebody or the other and the WHOLE school did not know about it, got a copy of your very readable book from my daughter, congrats Minna. My best to your folks . . .
Congrats by the way... Looking forward to reading ur book! I read your blog regularly, but I don't think I've ever commented before. I read your book yesterday. I liked it (though I agree with a reviewer who said it reads like printouts from a blog. But that's the point, I guess, the spontaniety, the no-tying-up-of-loose-ends-just-like-real-life feel of it.) Congratulations. where can i get in hyd..? Eager to book the book. Hope the hype will not kill the book and next time onwards only the real stuff (kidney-organ for thinking)can save you not the hype. Do you remember a person called T.N.Seshan? Best of luck. god! you make me miss bombay so bad it hurts. i wish i had never left the city. sigh sigh sigh. You have a very nice blog..informative and interesting! My suggestion is that you should add some photographs/pictures to your blog.